For a while we have been looking at ways to simplify the process of determining tool length with a ShopBot by improving on the design of the current Z-Zero plate. The two limitations we wanted to address were the need for an alligator clip, which adds a manual step to a process that could otherwise be entirely autonomous, as well the fact that the current design relies on the flow of current through the cutter itself, making it unable to zero non-conductive bits. Users can expect precision of 0.001” varying radially along the surface of the plate. 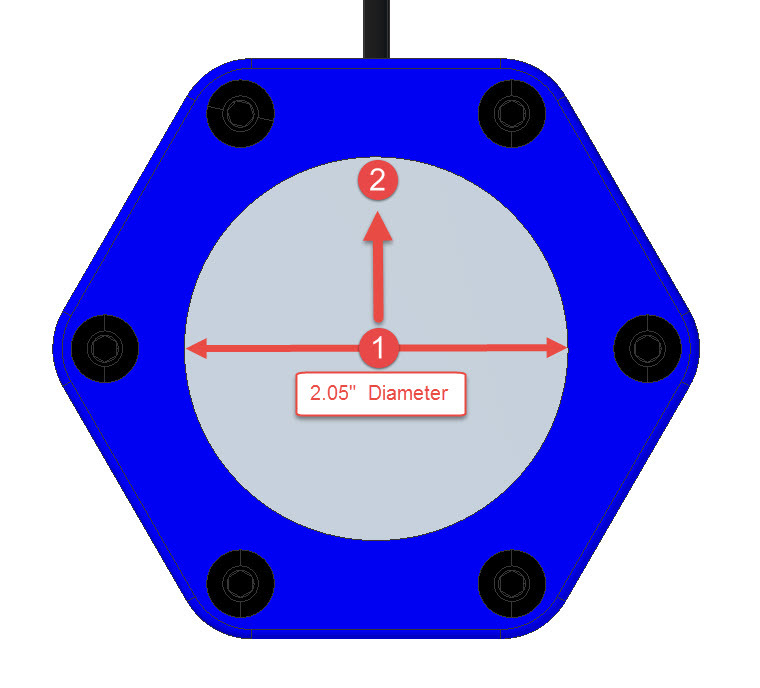 By leveraging the lack of an alligator clip, designated X and Y coordinates can be set using the over-travel of a tool to fully automate the C2 routine. 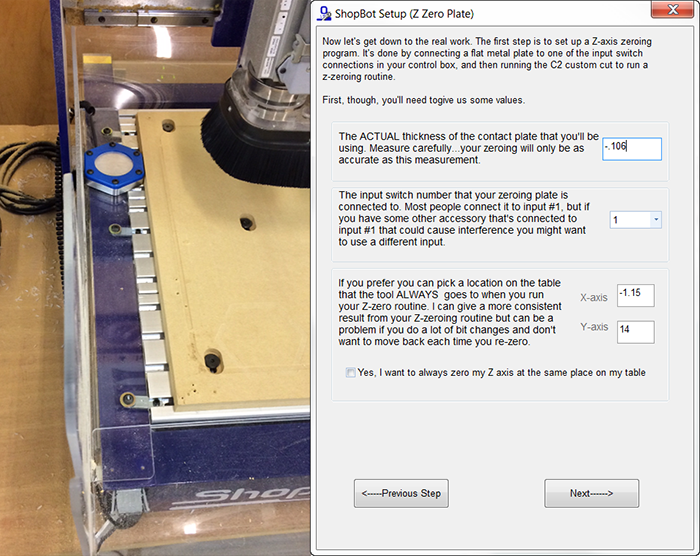 The example we have set up here at ShopBot uses a Desktop, where the tool has enough travel to allow the plate to sit permanently without loss to the tool’s cutting area, but the set-up can be implemented on any ShopBot tool. 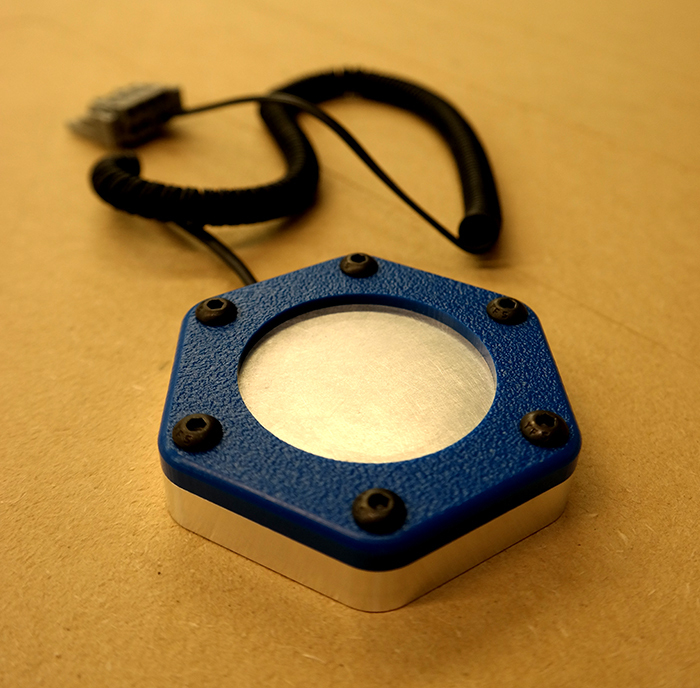 To order one from our first batch, call ShopBot Tools at (919) 680-4800 and ask for Production Support. I would like to purchase one, could you please let me know the specifications and datasheet of the product so that I can have a detailed look depending on my requirement.